We believe that there are four digital milestones that all local governments will eventually cross. Number two on that list is making your website responsive. While the trend is that local governments are moving towards a dedicated mobile app (milestone #3), today it is still more common for local municipalities stop at responsive web. And it’s not hard to see why this is the case. If all your city does digitally is build a website and make it responsive, you feel like you’ve covered all your bases. You think that you’ve got the entire population covered because you have a website that works on desktops, laptops, tablets, and smartphones. But, this sense of security and completeness is actually a false sense. There is an entire group of individuals that aren’t going to get access to your content. There’s a reason that the statistics clearly point to the fact that when it comes to smartphones and tablets, native app experience and usage dominates responsive web. There are 2.32 billion smartphone users worldwide, more than 50% of time spent on all digital media by these users are within a native mobile app. Citizens are becoming more and more reliant on their mobile apps. As the private sector continues to push user experience and complies with the expectations of consumers, residents assume that local government are following suit. With a native mobile app, you would have less chance to miss entire segments of your population and be more confident that your digital services are reaching the growing majority of native app users within your community. Look at the digital leaders that your residents interact with on a regular basis, and you’ll see that responsive web is merely a jumping-off point to a better digital experience for your residents but it’s not the final stop. Let’s look at McDonald’s, Starbucks, or Dominos for inspiration. These are companies that built billion dollar businesses serving everyday people and they’ve all clearly invested heavily in running transactions through a customer-facing smartphone app. McDonald’s, while certainly well funded, is a business in the fast food industry that runs on razor thin margins. But they also realize they have to continually invest in the future and in where their consumers are going. All signs lead directly to mobile. They’ve clearly made a well thought out strategic decision that if they want to stay relevant and they want to continue being useful to their customers, they have to drive as much usage through their smartphone app. They don’t think of it just as another digital tool. They actively promote and use discounting coupons to further drive activity through an app. And it’s not just about making sure they check the box for a smartphone app. 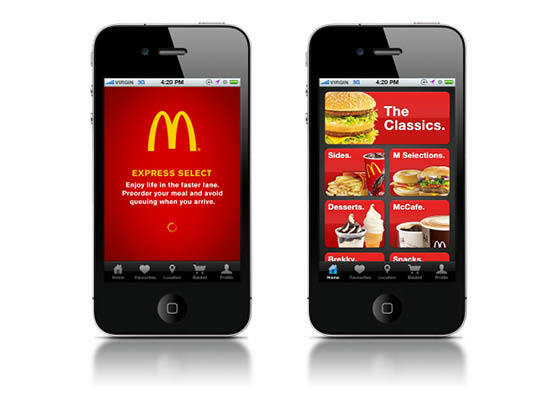 This company realizes that there are both customer growth opportunities by tapping into consumers who use the smartphone as their predominant means of interacting with a business, and McDonald’s realizes there are likely long-term cost savings to having services that are native on the smartphone such as pushing out notifications, incentivizing more usage, and providing the highest quality user experience such as location data, point of interest data, and other things that work best on a native smartphone app. At Starbucks, mobile app orders accounted for 21 percent of the company’s U.S. transactions in the first quarter of 2016. 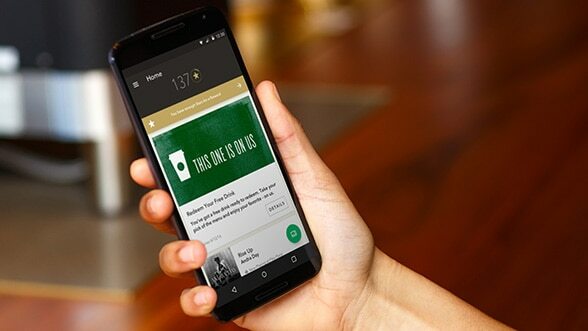 Use of the coffee chain’s mobile order and pay feature — which currently represents more than 10 percent of total transactions at high-volume Starbucks stores — directly contributed to increased sales across the board. Along the same lines, more than half of U.S. sales at Domino’s — which offers mobile ordering and payment through some 15 methods, including text, smartwatch, and a “zero clicks required” mobile app — are driven through digital engagement. It’s very easy to trick yourself into believing that if you build a great website experience and make it responsive, then you’ve covered all the necessary digital experiences for your residents. And what’s worse is if you use superficial metrics, you can convince yourself of this fact even more! If you look at your Google Analytics to understand your website’s traffic, you can see that traffic is coming from mobile and tablets and therefore you must be serving those residents well enough with your responsive website. The problem with using these metrics is that it doesn’t really look at the actual value to your residents. More often than not, residents are coming to your website to complete a transaction, such as submitting a service request, paying a bill or ticket, and more. If you measure these goals and look at the conversion rates of these goals, you’ll quickly realize what the majority of the private sector already knows. And that is it’s much more difficult to drive these sustained, long-term high value goal conversions without a native smartphone app.